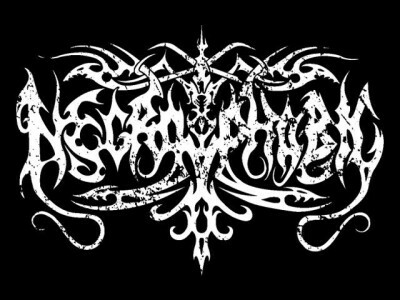 Necrophobic has always been a band stirring with new explorations among the black/death metal style and no wonder they are one of the peers bearing the ancient hatred with them. Their latest offering “Womb of Lilithu” is of no difference, exploring the more melodic visions of vicious black/death metal. Much in the vein of their last release “Death to All” “Womb of Lilithu” is endorsed with haunting piano, crushing atmosphere and blazing guitar works. The recording season for their seventh blasphemy started back in September, 2011. So the album was a long anticipated for their fans and finally released for distribution on October 25th, 2013 through “Seasons of Mist”. From the band, their long journey for this surely not a vamp, this is reflected by 14 chapters of this epic. Let’s get to the album. “Womb of Lilithu” is a long 68 minute piece with 14 tracks as stated. Starting with eponymous “Womb of Lilithu”, a piano driven ambient piece, black/death metal blizzard freezes your soul to annihilation for the next one odd hour. Musically the album sounds more towards death metal, with haunting piano bridges and dark groove melodies. Clean guitar sections are also heard as well as solid death metal riffs. “Opium Black” can be a fine example to this. The fine guitar parts can be heard in tracks “Marquis Phenex”, “Paimon”, “Splendour Nigri Solis”. Nothing much to mention about bass-sections, they remain low in the mix while following mostly the guitars. Drumming is good but don’t stand out if compared with their previous effort. The best part of this album is the vocals. Tobias Sidegard reigns all over the album with his strong vocals, frequently mixing them with grunts, shrieks, screams and often with clean singing. “Opium Black” is the best reference to this. Production quality is pretty fine and high for this release. It works along the same direction with the album’s atmosphere. No complains about this. To end with, “Womb of Lilithu” is really a damn good album. Although not any closer to their masterpiece “The Nocturnal Silence”, but the album is pretty interesting and recommended for black/death metal fans. Recommended: Astaroth, The Necromancer, Marquis Phenex, Infinite Infernalis.